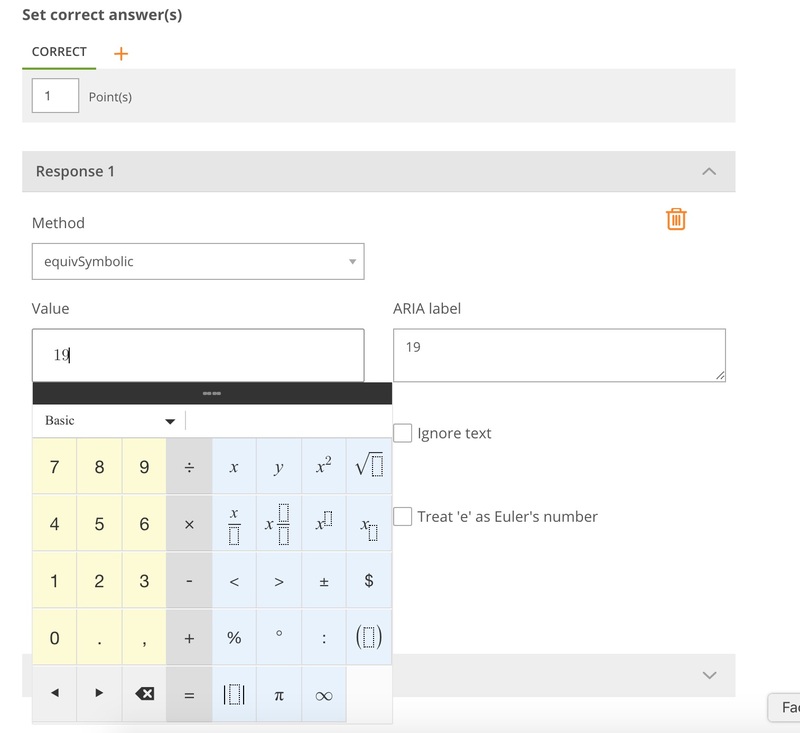 An cloze math formula question is a fill in the blank type question that allows students to input math formula type responses, using a calculator-like interface, in response to a stimulus. In the Compose Question field, enter the question or prompt. In the Formula Template field, enter the formula for the question. Click on the Response box to move the box where you want it in the formula. If you want more Response boxes, right click on the response box to copy it. Then paste it in the new location. 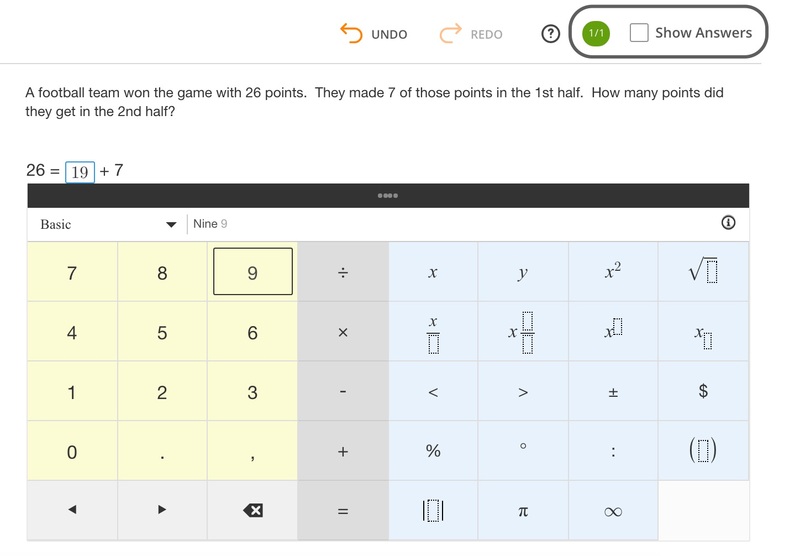 In the Set Correct Answers section, select the point value for each correct response. Click on the carat to open each response. Enter the correct answer in the Value field. Select any other options you want to include in the response answer. Do this for each response. Next, click on the carat to show More Options. 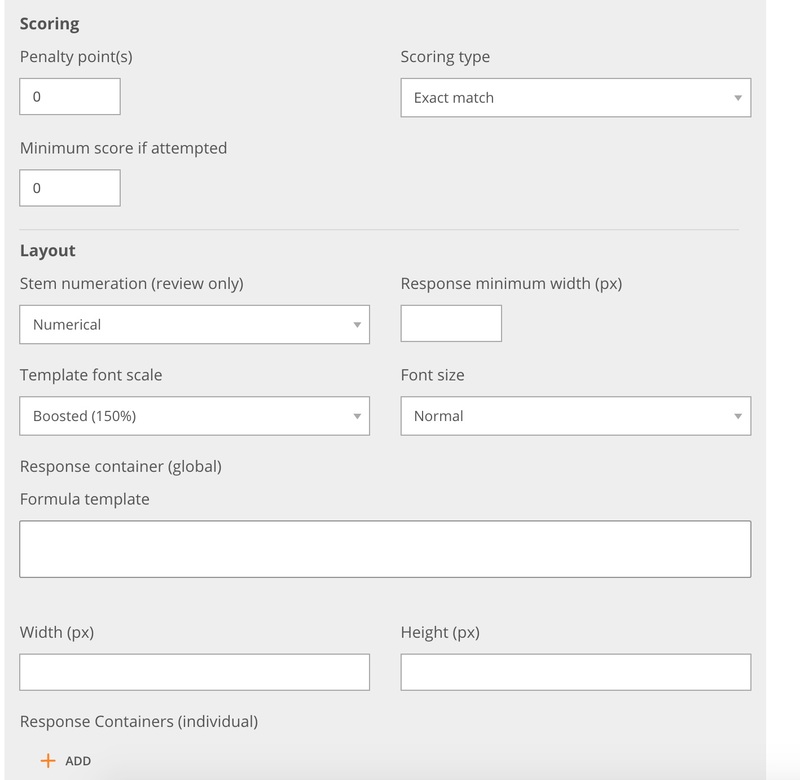 Select the Scoring Type and then format the layout to how you want.